First and foremost, whenever you're trying to lose body fat you must also try and maintain as much muscle as possible. You do this by incorporating resistance exercises into your weight loss program. 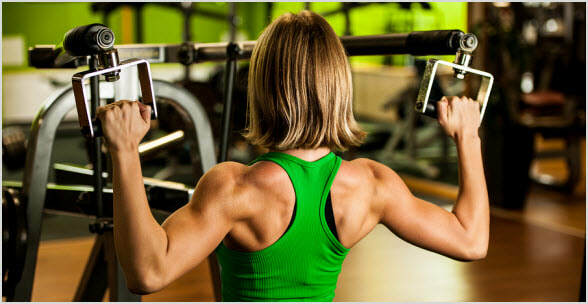 The more muscle you have, the faster your metabolism will be because muscle is active. 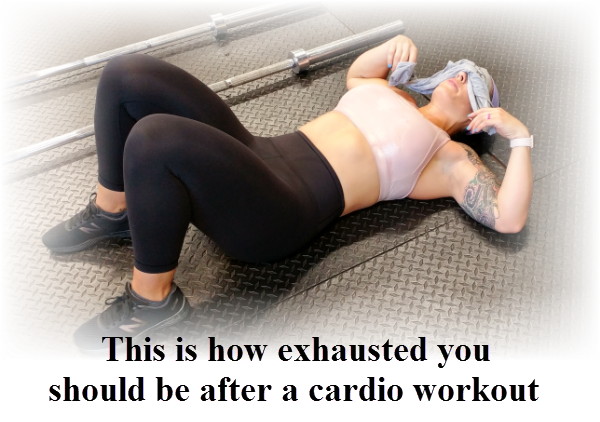 If you just focus on burning calories with only cardio and not performing any resistance exercises to maintain muscle, you will lose both muscle and fat! If you do this, you will lose weight, but part of it will be from muscle loss. This leads to the "Skinny Fat Syndrome", where someone may lose weight, but they still have a lot of body fat because they did nothing to maintain their muscle during their weight loss efforts. Because they lost muscle also, they won't look any more toned or defined after losing weight, because their body fat is still relatively high (and often it's the same as when they started) because of the muscle loss. Resistance exercises like the Lat Pulldown​ help maintain muscle, while you're losing fat. The traditional way to lose body fat while maintaining muscle is to do a resistance workout the morning (to maintain muscle) and a cardio workout later in the day (to burn fat). Although this does work, I found it much more effective and time efficient to combine resistance and cardio in the same workout. In other words, you use resistance exercises (not a treadmill, elliptical etc.) to increase your heart rate, just as if you were doing cardio. This is a very effective way to lose body fat, while maintaining all of your muscle. 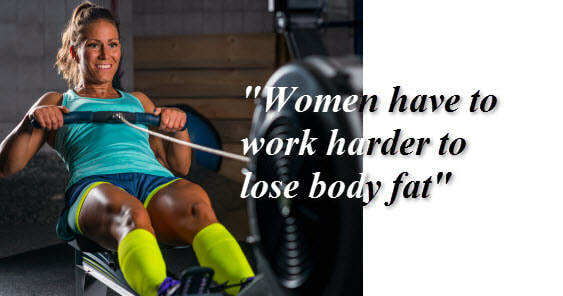 I developed this form of training because I realized that women needed to train differently and unfortunately, they also have to train harder than men because a woman's body is more resistant to weight loss. 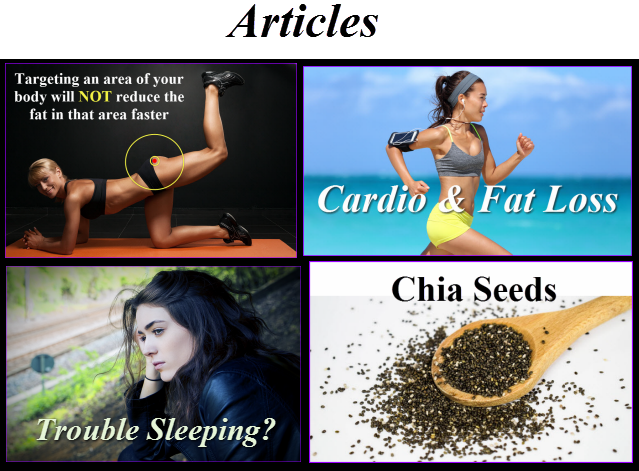 I found that performing resistance exercise in a manner that increased your heart rate (cardio-effect) was the most effective way for women to lose fat and maintain their muscle. ​You're going to combine resistance exercises together like in the video below. Sometimes it's a circuit of 2 to 4 exercises, or it could be just one challenging exercise done in a manner that raises your heart rate (single exercises for fat loss). The goal is to use the resistance exercises to raise your heart rate in the same way as someone who is running on a treadmill would do. In this video Amy is doing Cable Squat Rows & Pushups non-stop. Put together 3 or 4 exercise combinations (combination exercises) like this into one workout. This type of training is more challenging than traditional cardio is (running on a treadmill, elliptical, spinning etc.) because you really have to push yourself to get your heart rate up when using resistance exercises. When it comes to traditional cardio such as running, it would be easy to get your heart rate up if you just sprinted a hundred yards. It's a lot harder (but more productive) to get your heart rate up a using dumbells, pushups, jump squats etc., that's why the workouts are done in a non-stop fashion.